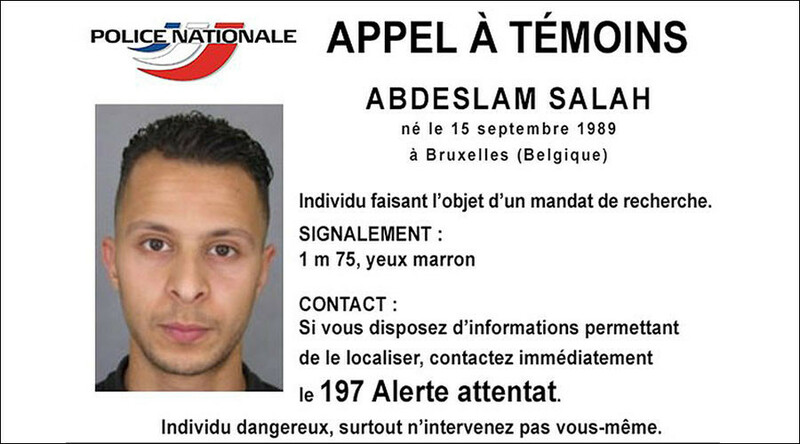 Belgian police are still searching for Salah Abdeslam, one of the participants in the Paris terror attacks on November 13. He was not among 16 people arrested during raids on Sunday and the authorities fear he could be planning another attack. Several Belgian media publications have cited unconfirmed reports that Abdeslam had been seen in a car near the city of Leige and was heading to the near-by German border. There have also been numerous other sightings of the 26-year-old, who has so far evaded capture despite a massive manhunt across the continent. Jack Rice, a criminal defense lawyer and former CIA officer, spoke to RT and outlined how it would not be hard for a person to effectively ‘disappear’ within one of Europe’s numerous migrant communities. “It is not surprising to me that one person can melt into an entire community. We need to take a look at the number of disparate communities around Europe that have in some ways isolated themselves or have been isolated. As a result, to melt into one of those communities as one simple individual is certainly something that can happen,” Rice said. “We need to come back and try to understand why there are various organizations and peoples who are so disparate and so isolated,” he added. A Belgian prosecutor has released a statement regarding a suspicious car, which drove off on Sunday evening, as police tried to carry out a routine search. There had been suspicions it could have been linked to Abdeslam, however, this has been dismissed by police. “Yesterday night in the Liege region, a vehicle BMW rushed off when pulled over by police for a routine check. The vehicle was identified. Further enquires showed that there is no link at all with the ongoing operation,” the statement read. Abdeslam has been on the run for over a week after his elder brother, Brahim, blew himself up at a cafe during the Paris terror attacks. After fleeing the French capital, the car Abdeslam was travelling in was stopped three times by police as it headed to Brussels. However the 26-year-old was allowed to continue his journey on each occasion and has subsequently been able to avoid capture. One of those stops took place at a checkpoint on the Belgian border just hours after the attacks. Abdeslam was allowed to proceed after showing his ID, as the security services did not realize at the time that he had been involved in the attacks. 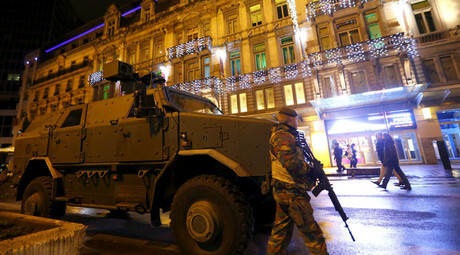 The authorities are continuing to search for Abdeslam, and a total of 19 raids were carried out in the Belgian capital Brussels and the industrial city of Charleroi, with a total of 16 people being arrested. Abdeslam was not among those who were detained. Abdeslam hails from the Molenbeek district of Brussels, which has a large immigrant community. Brussels’s own mayor has described the district as a “breeding ground for radical violence” with a high level of youth unemployment and crime. In 2010, while a trainee state rail mechanic, Abdeslam was jailed for armed robbery. His accomplice at the time was Abdelhamid Abaaoud, a childhood friend who was two years older – and the man suspected of being the “mastermind” behind the Paris terror attacks. Abdeslam, however, appears never to have done anything to arouse suspicion – at least according to those who lived alongside him. It emerged last week that Abdeslam was on a countrywide list of about 800 suspected radicals – though the authorities have apparently never interrogated him. Despite the perceived threat, he was allowed to travel freely throughout the EU. In September he travelled to Austria for what he said was a “holiday,” according to the Austrian Interior Ministry. Investigators are now attempting to determine exactly how he spent his time and who he may have met while there. It also emerged that Abdeslam was arrested in Spain for drink driving just a few weeks before the Paris terror attacks. He was fined for driving over the limit and his car was impounded, but no further action was taken, despite him appearing on list of suspected Belgian jihadists. 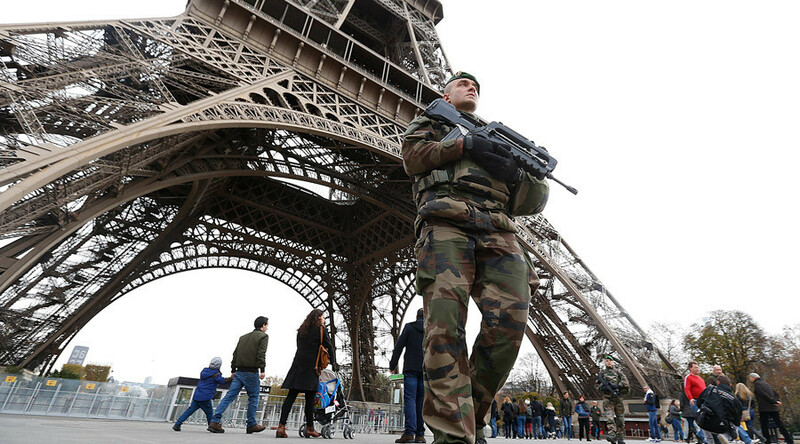 Days after the Paris attacks, the EU said it would be stepping up border controls and document checks across the bloc. France has been critical of Belgium for not doing enough to keep tabs on known radicals, while there has been concern that known criminals and suspects have been able to enter the EU via a country where data is not held, and then travel around the continent easily. About half of the data regarding suspected radicals comes from just five of the 28 member states, officials have said, without revealing those failing to help: "Some of them are [helping]. Not all of them are [helping]," Europol Director Rob Wainwright told Reuters. "Frankly, they need to do more." The Belgian capital is experiencing its third day of lockdown on Monday, with the metro, schools and many shops closed across the city. 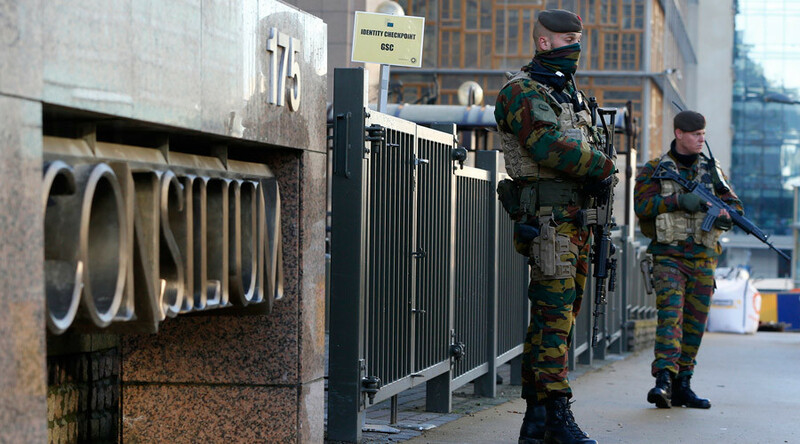 The authorities fear Abdeslam could try to create a Paris-style attack in Brussels. "What we fear is an attack similar to the one in Paris, with several individuals who could possibly launch several attacks at the same time in multiple locations," Prime Minister Charles Michel told a news conference early on Sunday evening.